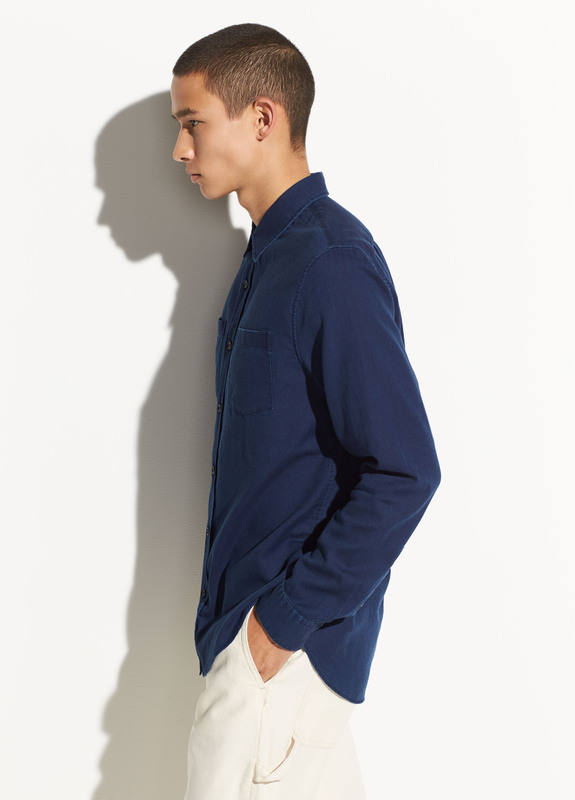 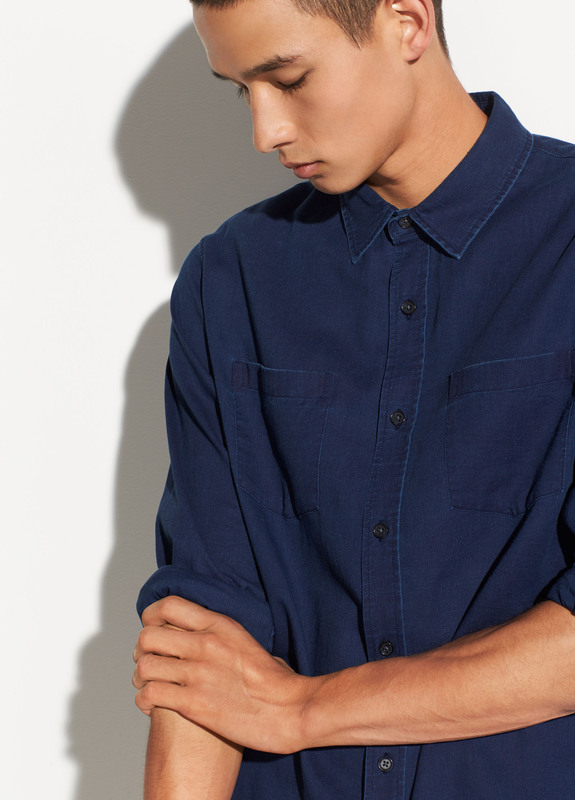 Done in premium indigo-dyed cotton, the long sleeve has a classic cut for a straight fit. 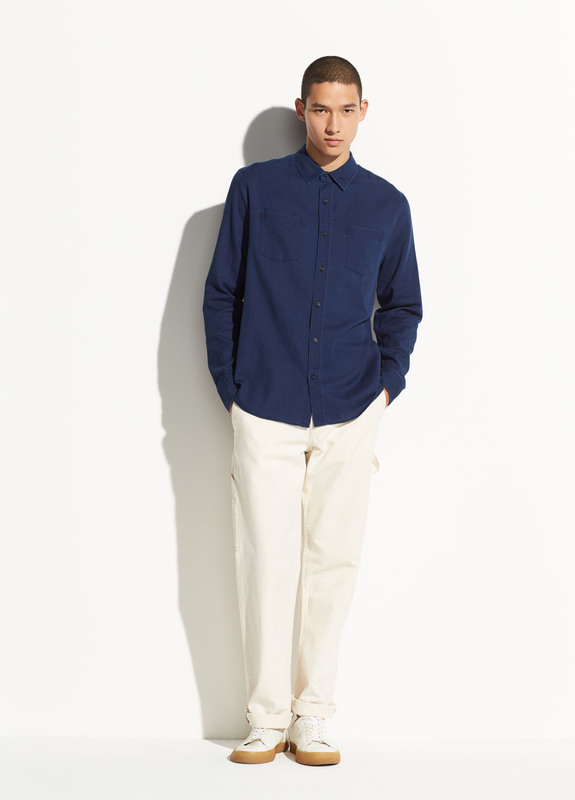 Model’s height is 6'1", chest 37", waist 30", inseam 34". 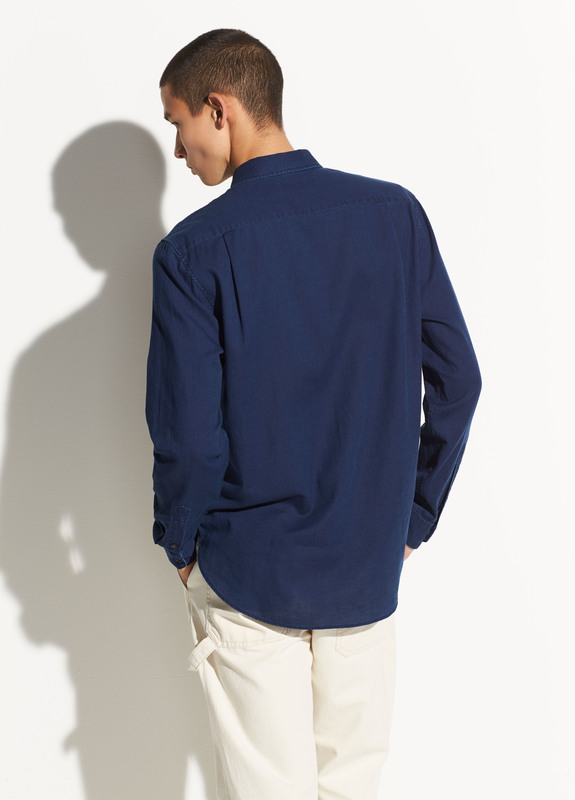 Model wears size M.